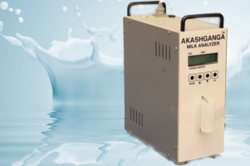 Shree Kamdhenu Electronics Private Limited - Manufacturer of akashganga latest milk analyzer, akashganga nano processor with gsm data transfer & akashganga amcs software with cloud computing & web enabled since 1990 in Anand, Gujarat. 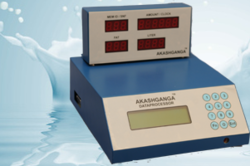 Designed for very accurate anlyisis of MILK PERAMETERS like FAT,SNF,ADDED WATER, along with LACTOSE,PROTIEN,CLR,DENSITY,SALT,FREEZING POINT & SAMPLE TEMPRATURE in a single anlysis/operation. Inbuilt RS 232 Interface,USB Optional. Automatic Clean by Lukewarm water. 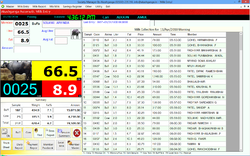 Available with 30 and 40 Second Analysis Time. Password Protected, simple and digital calibration. 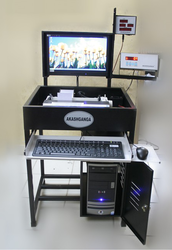 The system aids in automating Raw Milk Reception Docks by integrating all of its related activities through a centralized Computer. » Farmer's Milk Weight Report. » Fat,SNF Report with Weight..
» Not Fill Milk List Farmer. 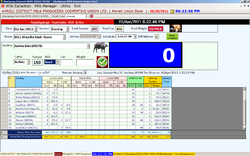 From Milk Collection to Balance Sheet Operations are handled. 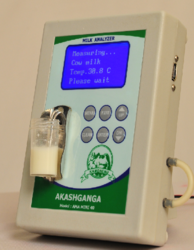 Akashganga automatic data processor milk collection system. 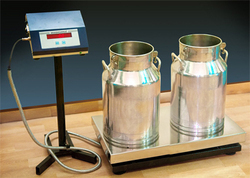 instant measurement & testing of milk weight. system can work on in built battery optionally provided with the system. report generation in regional language. 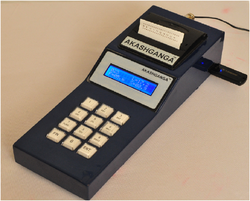 all types of emt's / analyzer & w/s can be interfaced. optionally the dpu can be delivered with in built thermal printer and all above reports can be generated on thermal printer. host of reports be generated @bmc after data transferred from vlc. . 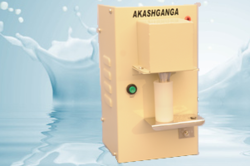 It is equipped with all features and requirements of the Milk Collection Center. 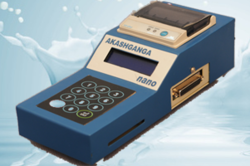 Designed for fast and cost effective analysis of the contents of fat%, solids but not fat % (SNF) and water adulteration% for buffalo , cow and mix milk. builds cusotmer's faith, guarantees uniform results. 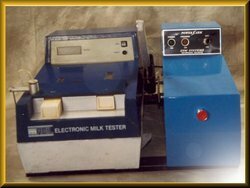 Automatic milk collection systems - data processor. 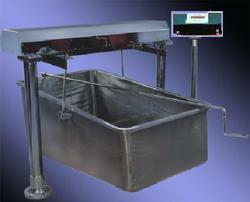 High accuracy load cells, overload & shock load protection. Auto digital calibration.